A compelling new account of history's most famous pirate. The Pirate King is the compelling true story of a Welshman who became one of the most ruthless and brutal buccaneers of the golden age of piracy. The inspiration for dozens of fictionalized pirates in film, television, and literatureas well the namesake of one of the world’s most popular rum brandsCaptain Sir Henry Morgan was matchless among pirates and privateers. Unlike most of his contemporaries, he was not hunted down and killed or captured by the authorities. Instead he was considered a hero in England and given a knighthood and eventually was made governor of Jamaica. As Graham Thomas reveals in this fresh biography of this complex and intriguing character, Morgan was an exceptional military leader whose prime motivation was to amass as much wealth as he could by sacking and plundering settlements, towns, and cities up and down the Spanish Main. 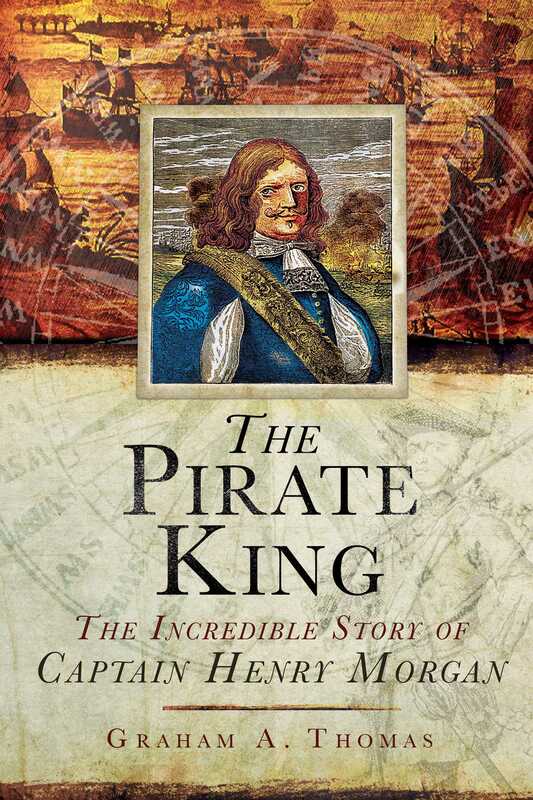 Featuring graphic accounts of Morgan’s exploits, eventually leading to an unparalleled rise to power and legitimacy, The Pirate King is a riveting read sure to become a key text in pirate literature. Thomas dispels myths and separates fact from fiction as he presents an intriguing new portrait of one of history’s most compelling figures.